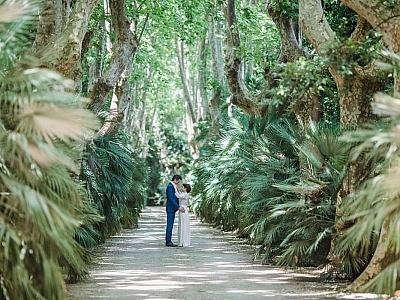 Elizabeth and Aymeric, have always been in love with Tuscany and decided to organise their wedding in Val di Cecina in the beautiful Tenuta Mocajo (Mocajo Estate). 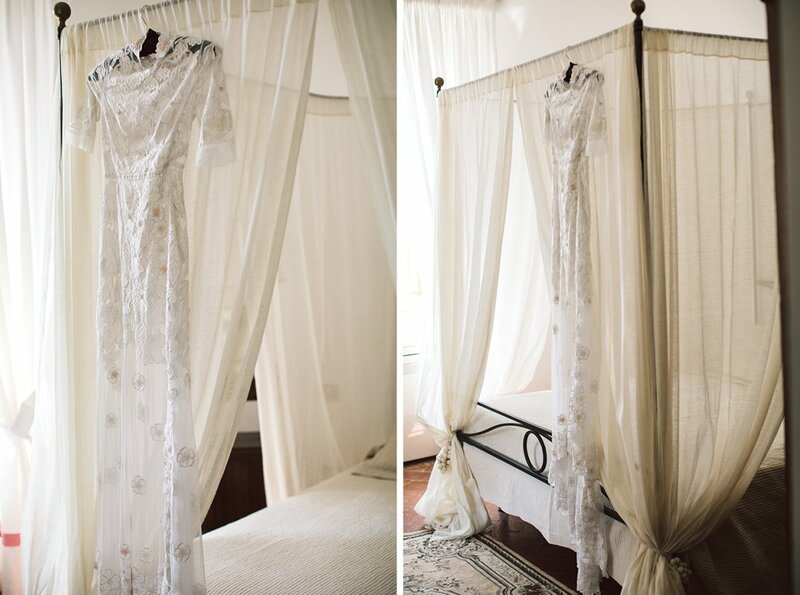 The Villa won us over with its simple and elegant style, for the history of its furnishings and the fresh light that enters from its large windows. Large maritime pines and old oaks shade the large terrace overlooking the rolling hills of Tuscany. The location is really strategic: a hill surrounded by vineyards and olive groves, medieval villages and small country churches, yet still merely a stone’s throw from the sea! 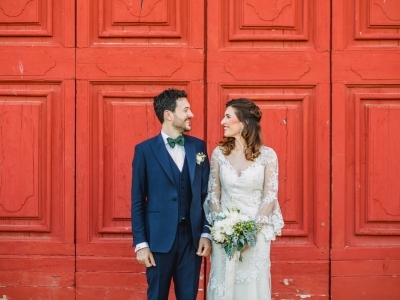 The entire day’s atmosphere was characterised by the couple’s cheerfulness and happiness. Aymeric and Elizabeth spent their wedding day as a party to reunite their numerous friends, who have joined them from all over the world. 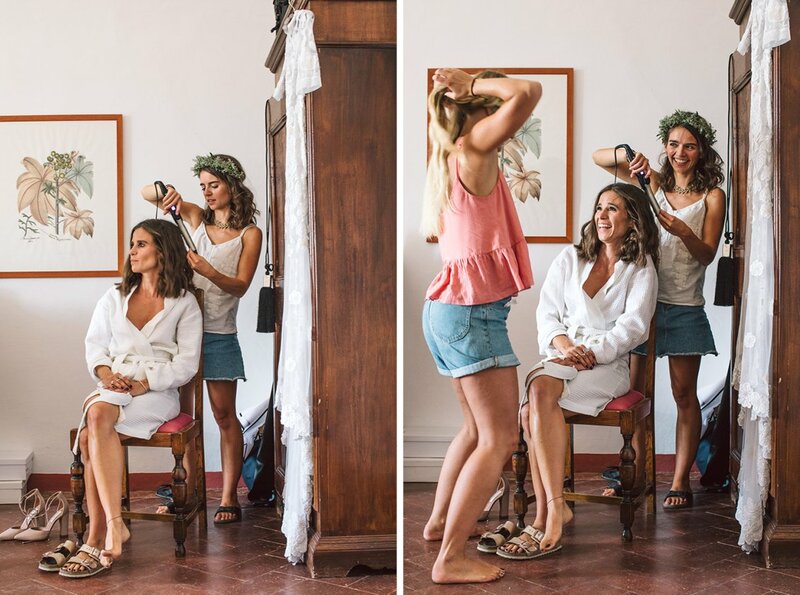 Spontaneity, crispness and irony from the preparations right up to the party. The ceremony was celebrated in a small village church near the estate and after a toast in the village bar, guests returned to Mocajo for a sunset aperitif and dinner on the beautiful Terrace, where the bride and groom chose the excellent foods from a restaurant in Bibbona: cuisine by Gionata D’Alessi. As is customary in France, the couple’s entrance to the reception was very scenic and fun. One of these photographs won a prize on Mywed. Let’s see if you guess which!